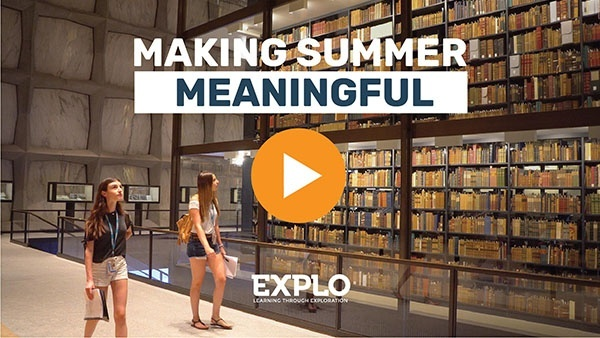 That was Arnie Singal’s request when he would speak to high school students about a burgeoning summer program rooted in independent exploration back in 1976. The phrase is simple enough; common-sounding, perhaps. But at its heart was an invitation to something profound — a front-row ticket to all of the possibilities the world could offer you. It is with deep sadness that we acknowledge the passing of our co-founder, Arnie Singal, following a long illness. All of us at EXPLO owe Arnie a deep debt of gratitude. It was Arnie’s own curiosity and willingness to follow the path of possibility that led to the creation of Exploration Summer Programs. Along with his wife and co-founder, Ann, Arnie launched a program that has convened more than 70,000 young people across four decades and three generations to explore the world of people and ideas. His leadership for 30 years, and his continued generosity and involvement with EXPLO following his retirement, helped cultivate summer communities that welcomed students from all walks of life and provided them a place where they could truly be themselves, be bold enough to try new things, and be free to learn sans the pressure of exams or grades. In honor of the important and impactful work of Exploration’s founders, Ann and Arnie Singal, the Exploration Board of Trustees has established the Singal Founder’s Fund. The Fund is directed at need-based scholarships as well as EXPLO initiatives that support young people in underserved communities. We thank our trustees and staff members for their generous initial contributions. Arnold Singal was born in Brookline, Massachusetts, and spent his entire life in the area (save for a three-year detour to New Haven where he attended Yale Law School). He was a proud graduate of Buckingham Browne & Nichols School (BB&N) in Cambridge, Mass., where upon graduation he was awarded the Nichols Prize for the highest achievement in both academics and athletics. He would go on to earn degrees from Harvard College and MIT. Arnie later worked as an administrator at MIT, in the development office and as a freshman advisor. It was there that he and Ann were inspired to start EXPLO — not a summer camp and not a summer school, but something entirely new. The program launched the summer of 1977 as a high school day program at Brandeis University. 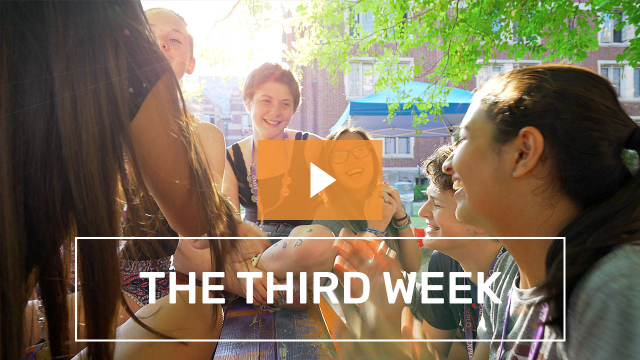 Within a few years, the program moved to Wellesley College with both residential and day offerings for middle school and high school students. Over time, EXPLO enrolled students from across the U.S. and 70 countries, launched a program at Yale University, as well as a program for elementary school students located at St. Mark’s School (now at Wheaton College in Norton, Mass.). “EXPLO is the best start up I’ve been involved with, and I thank Arnie for trusting me to be his partner in getting it off the ground, and then 20 years later trusting me to be a part of the team that brought EXPLO to where it is today,” said Brian Hughes, a successful serial entrepreneur who became EXPLO’s first employee when his former freshman advisor at MIT approached him with the seed of an idea. Hughes credits the experience, along with “Arnie’s generous recommendation” for aiding his acceptance to Harvard Business School. He would later reconnect with the organization — and Arnie — when his two young sons enrolled in the program. 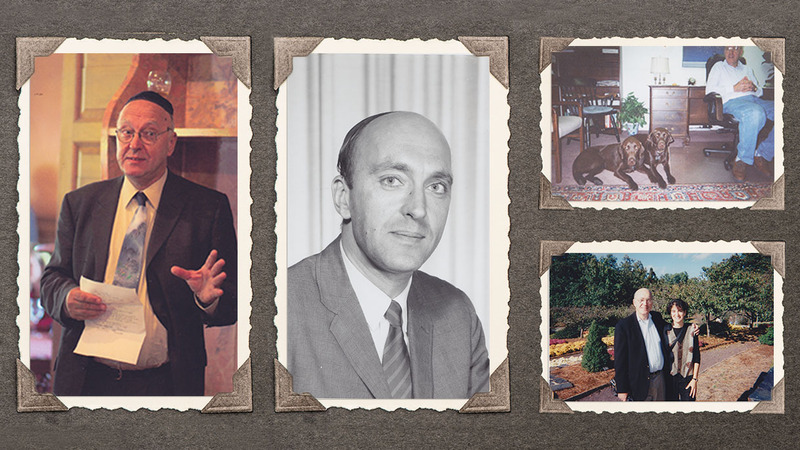 Arnie recruited Hughes to join the Board of Trustees; he would eventually serve a term as Board Chair, and remains committed to the EXPLO mission. Day in and day out Arnie lived the mission of EXPLO. He truly embodied the spirit of “anything is possible,” which was a driving force for his own life, as well as for all of our work here at EXPLO. He knew what he was passionate about, and created a life of meaning that thrived at the intersection of what he loved and what his strengths were. Take basketball. Arnie loved basketball. A natural mentor and leader, he coached teams through the Greater Boston area for decades — including MIT’s most successful freshman team in 1963-64 and the U.S. high school entry in the Pan-American Maccabi/USA Games in 2007, among others. As we celebrate Arnie's life and accomplishments, we'd love to hear your EXPLO stories about Arnie Singal. Stories, messages, and memories submitted below will be collected and shared directly with the Singal family. Art and culture also played a significant role in Arnie’s life. It was not unusual that he would attend performances of various dance companies, plays, and concerts several nights a week. 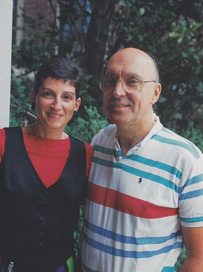 He and Ann were also avid cyclists for many years, often combining their extensive world travels with cycling trips. These trips introduced Arnie to new foods and cultures, topics he loved to share in conversation. He remained an enthusiastic supporter of his alma mater, BB&N, and served as Chair of the school’s Almy Society. Arnie was also a long time board member at Chapel Hill Chauncy Hall School. Arnie is survived by his wife and EXPLO co-founder Ann, of Westwood; his daughter Robbie Singal, her husband Jonathan Weintraub, and their children, Ezra and Raya, of Brookline; his son Jeff and his wife Miki, and their children, Mia and Julia, of Japan; and his brother Daniel Singal and family in Rochester, N.Y. Imagine, if you will, a legacy that connects hundreds of thousands of people from across the globe. Few of us can. Arnie did. And for that, we are grateful.